An information booth with photos of people who do not support the policies of Russian President Vladimir Putin has been set up in Simferopol. A similar photo has been posted on the Facebook page of the influential Russian blogger Rustem Adagamov, reports Espreso.TV, April 15. 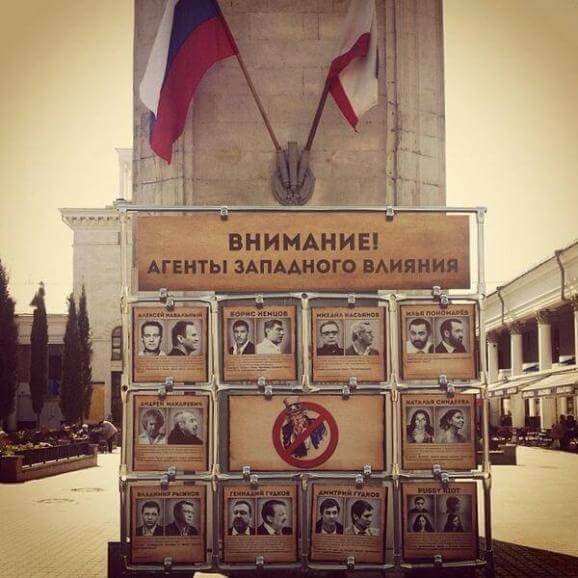 The booth with the heading “Agents of Western Influence” includes photos of Alexei Navalny, Boris Nemtsov, Andrei Makarevich and other Russians who have denounced the annexation of Crimea.